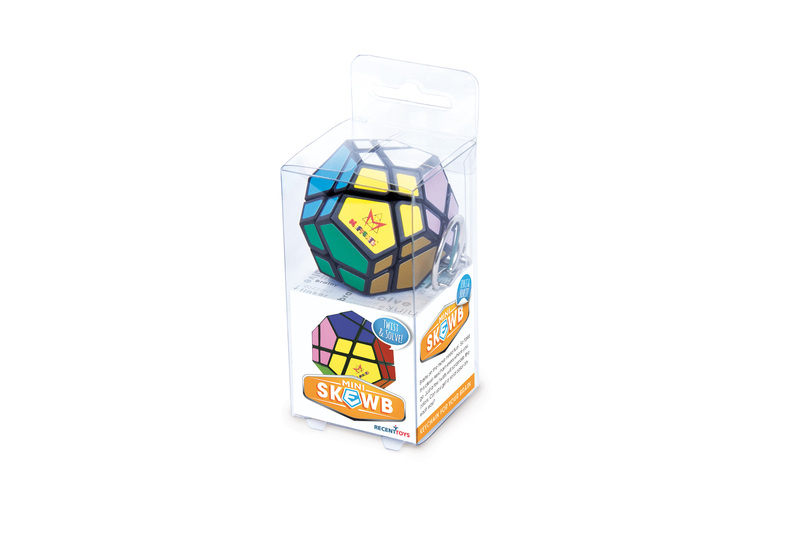 Mini Skewb – Recent Toys Int. 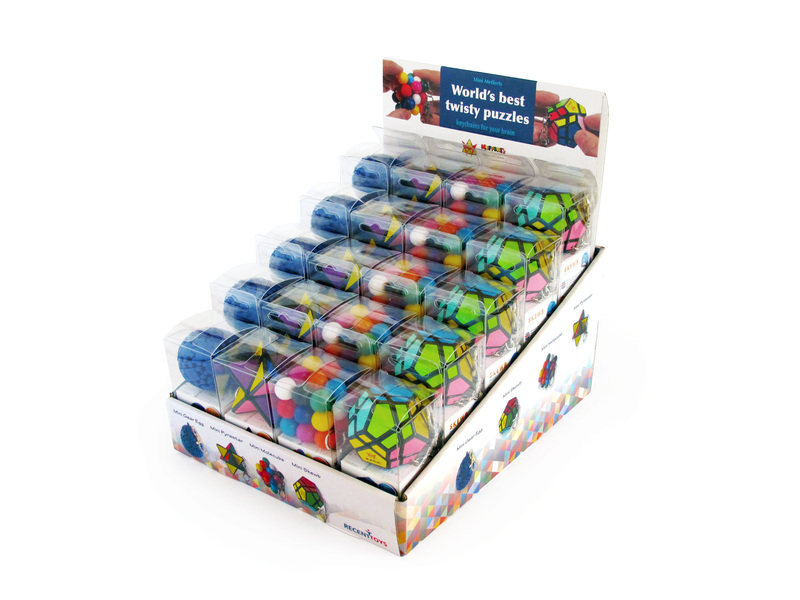 Twist the two halves of the puzzle to change the colors on each facing. 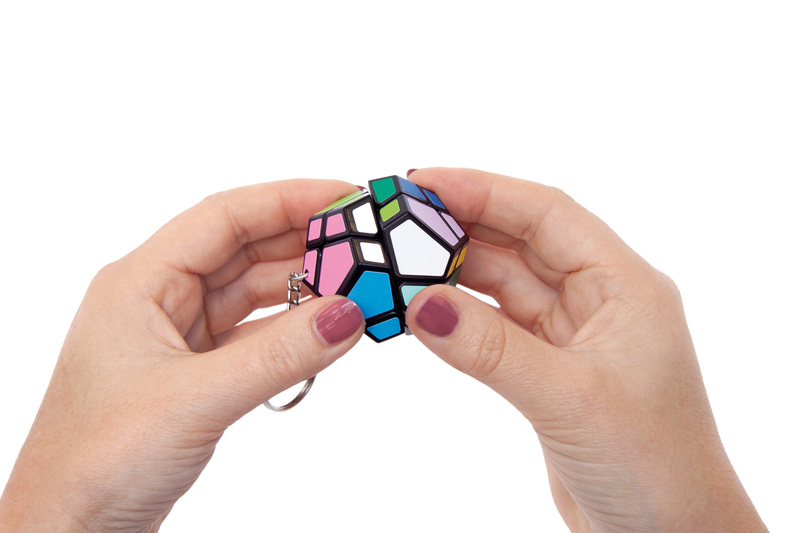 The puzzle can rotate in any direction. 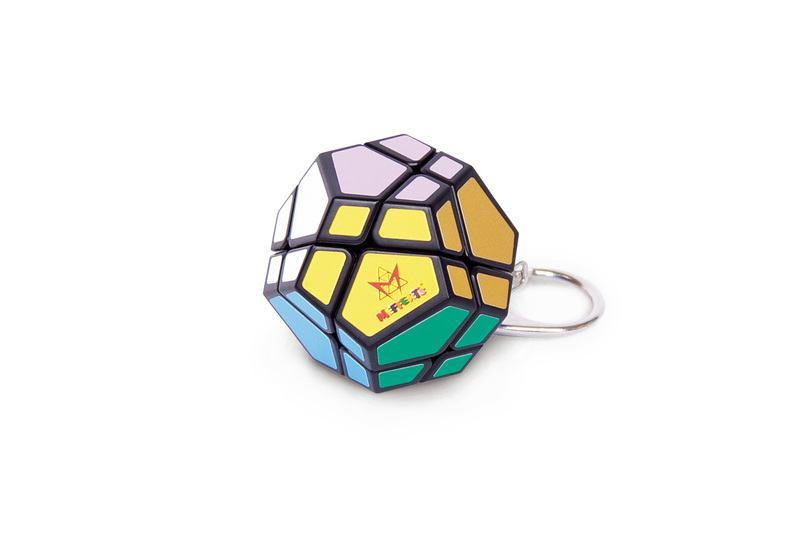 Solve by getting a solid color on each side.